Our 4’s curriculum is designed to answer one question: who is God? The year is divided into two sections of about equal length. The first series, entitled “The ABC’s of God,” goes through many of our Lord’s wonderful attributes, each of which begins with a different letter of the alphabet. Our second series, “The Names of God,” looks at the names of the Father, Son, and Holy Spirit and shows what we can learn about God through His names. Objective: Using Joshua 6, show the students that God’s power is infinite, that nothing is too difficult for God. Objective: Using Luke 11:11-13 show the students that God provides and gives. He blesses us with uncountable gifts and cares for us in all ways. Objective: Using Genesis 1 and Psalm 139, show that God is not only the creator of all plants, animals and things, but that He also specially created you and me. Objective: In the same way that God delivered Shadrach, Meshach, and Abednego from the fiery furnace, God can deliver us from our sins. Objective: This weeks study focuses on the eternal nature of God. Our objective is to show that God has always existed, and will exist forever. Objective: To show students that because we have sinned against God, He is the only one who can forgive us. Jesus has secured that forgiveness for all of us. Objective: To introduce the concept of grace to the students using the story of God bringing forth water from the rock in the wilderness. Objective: To teach both the meaning and concept of Holiness, and also that Christ is the perfect expression of Holiness. Objective: To continue last weeks study on “Holiness” by demonstrating that Christ was perfect and sinless, and yet received the punishment that we deserved. Objective: To teach that Jesus was both fully man and fully God. Objective: To teach the students about God’s sovereignty through the image of Kingship. God is in charge, He is also in control. Objective To teach that no matter what they have done, or what is happening in their lives, God still loves them. Objective: To show the connection between mercy and forgiveness and to teach that God’s mercy and forgiveness are infinite. Objective: To teach the students that God is omnipresent (all places at all times) and that He promises specifically to always be with us. Objective: To show that God is unique. He is the only true God and therefore the only being that is worthy of our praise. 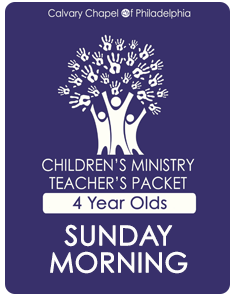 Objective: Using the story of Abram, teach the students that in the same way that God is patient, we must be patient in waiting for His promises to be fulfilled, especially His return. Objective: To teach the students that sometimes God speaks to us in a still small voice, and at other times, not at all. Objective: To teach the students that our foundation in life must be Christ. Objective: Use the story of Zacchaeus to show the children that salvation is available to all who ask. Objective: To demonstrate to the children that God is never deceitful, He does not lie, and He always tells us the truth. Objective: By the end of the lesson each will know that neither God nor His word ever change. Objective: This lesson will teach the students that God is the one who gives the victory both in our daily situations and more importantly over sin and death. Objective: This lesson will teach the students that God is worthy of praise both for what He has done and for who He is. Objective: This lesson will teach the students that God is greater than any other person, created thing, or false god and therefore greater than anything they face. Objective This lesson will teach the students that God’s Name is Yahweh, which makes Him different from every other God. Objective: This lesson will teach the students that God’s ultimate plan is to be with His people forever living in the New Zion (Jerusalem). Objective: This lesson will teach the students that Jesus has earned the highest Name and honor because of what He has done. Objective: This lesson will teach the students that God is truly their Father and they have all the benefits that come with God being their Father. Objective: This lesson will teach the students that like a shepherd, God will take care of them, guide them, protect them, and bless them. Objective This lesson will teach the students that like clay to a potter, we belong to God and are His to do as He pleases, yet He is a good and loving Potter. Objective: To teach the students that God has provided for us the cure for our greatest need. Objective: This lesson will teach the students that the God of the Bible is the only true God and therefore we ought to worship Him and Him alone. Objective This lesson will teach the students that God is their ultimate refuge and that they can find protection in Him, even when everything else fails. Objective: To teach the students the Lord is our Master, and He asks for our obedience. Objective: To teach that Jesus is the name by which we must be saved. That only through Him can we be made right with God. Objective: To show the students that if we have Jesus, we have the best. Everything else leaves us wanting more. Objective: To demonstrate to the students that it is only by walking in the light of Christ that our eyes can be opened to truth. Objective: To teach that the Good Shepherd lays down His life for the sheep, and that is exactly what Christ did for us. Objective: To show the students that Jesus has the power to give everlasting life. Objective: To teach the students that Jesus is the only way by which we can come to the Father. Objective: To teach that Jesus is the word of God that instructs and teaches us. Objective: To show the students that we receive life from Jesus in the same way that branches only have life when connected to the tree. Objective: To teach the students that no matter what happens, God has promised that He will always be with us. Objective: To teach the divine sonship of Jesus, that He is the Christ, the Son of the Living God. Objective: To portray Jesus to the students as the wise teacher, and that His words to us give life and joy. Objective: To introduce the students to the third member of the Trinity. Objective: To show the role of the Holy Spirit in guiding us and teaching us truth. Objective: To show the students that those who are in Christ are sealed by the Spirit, so that we can never fall away from His grace or lose our salvation. Objective: To show the students how God comforts us by sending the Holy Spirit as the Comforter living inside of us.